Importing Personal Prescriptions: Is It Legal? Importing Prescription Drugs for Personal Use: Is It Legal? With the high prices of some prescription drugs in the U.S. compared to other countries, it can be tempting to want to import the same, lower-priced drug from Canada, Mexico or overseas. It's important to note that each instance of possessing an illegally imported prescription drug can result in a federal misdemeanor conviction punishable by up to a year in jail and a $1,000 fine. Repeat offenses can result in felony convictions and even longer jail terms and higher monetary penalties. Is it ever legal for a patient to import a medication into the United States? Why Can't you Import Prescription Drugs Into the U.S., Even for Personal Use? Federal agencies do permit some patients to have certain medications mailed to them from outside the United States. Meeting the criteria to do this is difficult, however. First, as spelled out by the U.S. Food and Drug Administration, any legally imported prescription drug must be required to treat “a serious condition for which effective treatment is not available in the United States.” This requirement all by itself makes ordering “Cheap Viagra” from a “Canadian” pharmacy website against the law for people living in America. For example, erectile dysfunction is not life-threatening, and it is relatively easy to have Pfizer’s sildenafil prescribed and dispensed legitimately. Incessant spam emails and banner ads for such already suspect products also make them off-limits for importation by Americans. The second criterion a drug must meet to be eligible for ordering and delivery from a foreign supplier is that it not be advertised or sold in the United States. No patient with a valid need and prescription for OxyContin (extended-release oxycodone from Purdue Pharma), Vicodin (acetaminophen and hydrocodone from Abbott Laboratories) or Cipro (ciprofloxacin from Bayer Healthcare and Schering-Plough) needs to go online to find those products. FDA’s “no commercialization or promotion” rule pretty much limits prescription drug importation by individuals to experimental drugs for imminently fatal conditions. In practice, this means a person with stage 4 colon cancer might be allowed to obtain a chemotherapy candidate being tested in Europe but not America. Even then, the medication cleared for importation must be deemed to present no unreasonable risk. What that means is a trusted company. Generally, the pharmaceutical manufacturer funding the relevant clinical trial and making the requested medication must supply the product being sent to the U.S. patient. The heart of the U.S. government’s restrictions on prescription drug importation rests in concerns that foreign-supplied products may be counterfeit and, as a result, harmful to the people who use them. By definition, any prescription medication not produced in an FDA-inspected facility, sold through a U.S.-licensed pharmacy or health care facility, and delivered in FDA-approved packaging (right down to the font used to print the brand name on the box) is counterfeit, illegally marketed and presumed dangerous. A doctor must be able to attest that the medication product being imported is necessary and a component of an ongoing course of therapy. The patient needs to notify FDA in writing that he or she is bringing an unapproved drug into the United States for personal use and give the agency contact information for his or her physician. 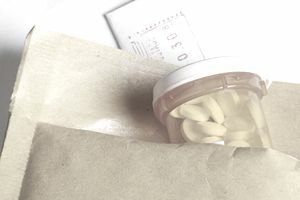 Packages mailed from outside the country that contain drugs that do not satisfy all these criteria can be impounded by FDA, customs or postal inspection officials. At best, the seizure of illegally imported drugs leaves patients without their prescriptions. At worst, the person named as the recipient of a package of unauthorized medications becomes subject to criminal penalties. Federal authorities generally only target large-scale importers for prosecution, but any person who illegally orders a controlled substance from a foreign supplier should have some concern over being charged with a crime.